When you are involved in a car accident or other type of motor vehicle collision, you depend on your insurer to get compensation for your injuries and losses. These companies rely on insurance adjusters, highly trained professionals assigned to investigate your case. Unfortunately, their job is to make money for the insurance company by finding ways to deny or undervalue your claim. Do not attempt negotiations with these people on your own. Instead, contact our office for help. We can help to ensure your best chance for success. 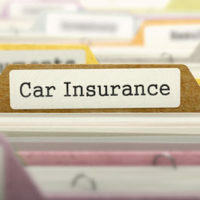 For adjusters, their success lies in finding ways to save the insurance company money in payouts, and they do this by finding ways to deny and downplay your claim. They are aggressive in their tactics and knowledgeable in state laws. Unless you are a trained negotiator, going up against them is bound to be a losing proposition. Using language meant to confuse customers. Including provisions in policies which allow them to deny coverage retroactively, while keeping payments. Using tricks to undervalue and deny your claim. Offering huge bonuses for employees who save the company money through low payouts. Quickly firing those who do not do whatever is necessary to keep you from getting the compensation you deserve. Rather than getting an experienced attorney to represent you in your case, you may be tempted to try and save money by negotiating on your own behalf. The fact is that any attorney’s fees you do pay will pale in comparison to what you will likely lose representing yourself in a claim. Insurance adjusters are trained in tricks of the trade, meant to deprive you of getting what you are entitled to in your claim. You only have one chance to get compensation after an accident, and you need an aggressive car accident attorney experienced in negotiations. Call or contact the Law Office of Steven G. Lavely online today and request a no obligation consultation, to get the professional legal guidance you need in your case.